Seagate debuted several new products at CES this year, including the candy-colored Seagate Wireless portable hard drive and the Seagate Personal Cloud, a NAS (network attached storage) option for home users, but the company's most attention-grabbing offering was the Seagate Seven. Described as the world's thinnest 500GB portable hard drive, the USB 3.0 Seagate Seven is only 7mm thick, as its name implies, which means it easily fits into a pocket or purse, and it's fairly affordable at $99. 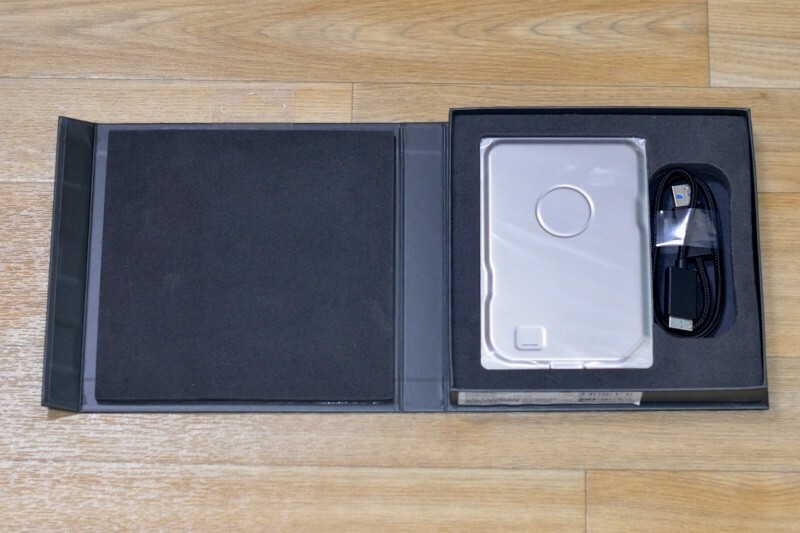 The Seagate Seven ships in a slim, padded box that contains the hard drive, a black fabric-covered USB cord to connect the drive to a computer, and a Quick Start Guide. Seagate describes the Seven as the culmination of 35 years of experience creating hard drives. Inside the Seven is Seagate's ultra thin 5mm hard drive, which is encased in 2mm of 100 percent stainless steel for protection. At first glance the Seagate Seven might be mistaken for an internal drive due to its slimness and its industrial design, but it is a standalone portable drive. Without touching the Seven, it can be hard to imagine just how thin it is, but if you own an iPhone 6 or an iPhone 6 Plus, that is a good approximation of thickness. At 7mm, the Seven is slightly thicker than the 6.9mm iPhone 6 and slightly thinner than the 7.1mm iPhone 6 Plus. 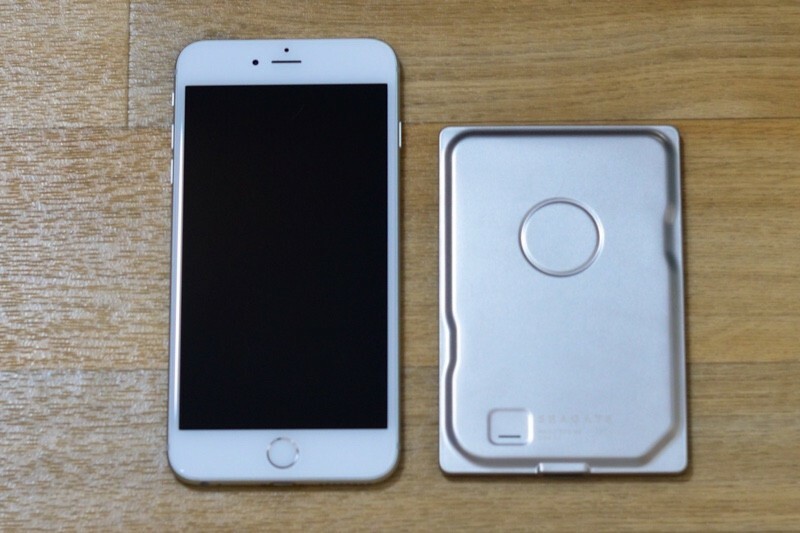 It weighs 6.3 ounces (178 grams), which makes it just about the same weight as the 6.07 ounce iPhone 6 Plus (172 grams). The Seven is 4.8 inches tall and 3.2 inches wide, which means it fits in a pocket as well as the iPhone 6 Plus. In the simplest of terms, it's really, really thin. Its stainless steel design is simple but may not be appealing to all people due to its minimal, unfinished look, and it's worth noting that the casing has a tendency to attract fingerprints. The drive itself feels well-built and it can withstand scratches and wear and tear, but it's still susceptible to drops. There's an indicator light located on the front of the hard drive, which glows blue when it is connected to a computer. The Seagate Seven ships with a high-quality fabric-encased USB cord, but at 12 inches, the cord can feel too short when it's used on a large desk. 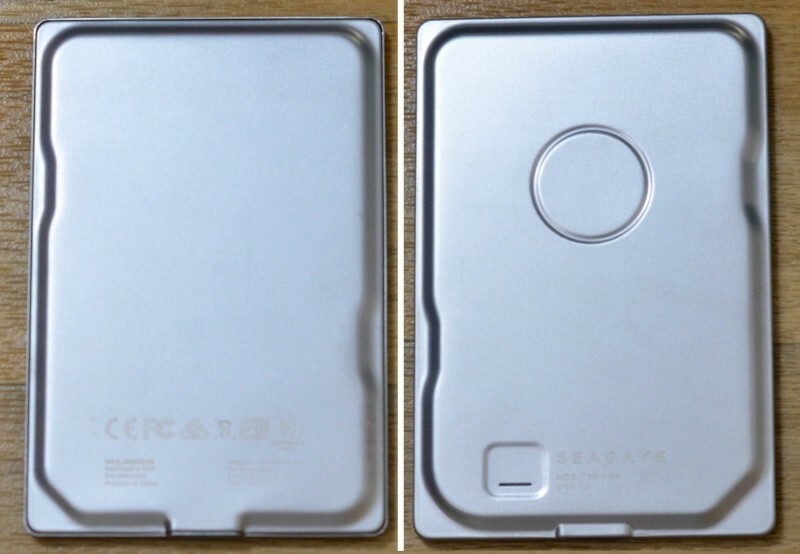 Aside from its thin profile, the Seagate Seven is similar to any other 500GB USB 3.0 portable hard drive on the market. It requires a USB 3.0 connection for optimal performance, but it is backwards compatible with USB 2.0 and thus works with older machines. The Seven is bus-powered and draws power through a computer's USB port, so it does not need an external power supply. In our testing, the Seagate Seven saw average write speeds of approximately 103MB/s and average read speeds of 101MB/s, which is on par with other USB 3.0 hard drives like the LaCie Mirror, which we also reviewed, and fast enough for standard daily use. Unfortunately, the Seven is only available in a 500GB capacity, which may not meet the needs of users who need more storage space. The Seven comes pre-installed with the Seagate Dashboard Installer and warranty information. With the Seagate Dashboard Installer, it's possible to install the Seagate Dashboard, which lets you manage all Seagate storage devices, and the Utility Driver, for power management and diagnostic features. It comes formatted in exFAT, which is compatible with Windows and Mac computers, but it can be reformatted on Macs using the Disk Utility app. The Seagate Dashboard is a useful app because it allows you to back up your mobile content (photos and videos) to the Seagate Seven or another Seagate drive with the accompanying Seagate Dashboard app for iOS. It's also possible to connect social networking accounts from Facebook and Flickr, where photos from the Seagate Seven can be automatically uploaded. Connecting to Facebook or Flickr will allow you to download photos from those sites to the hard drive as well. The Seagate Seven works with Macs running OS X 10.6 or higher and Windows machines running Windows XP SP3 or higher. 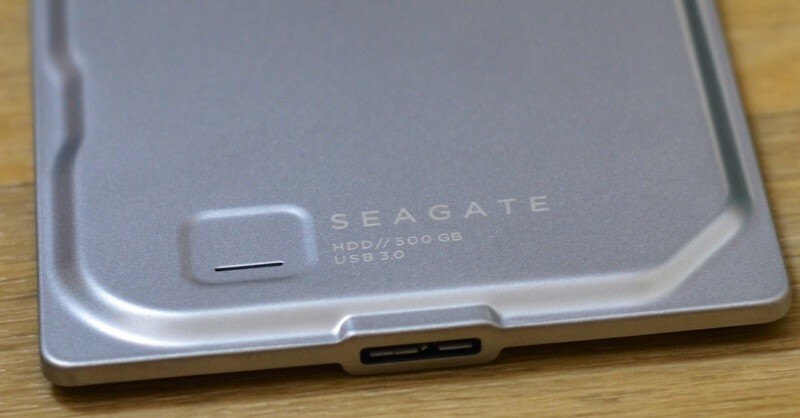 According to Seagate, the Seven is aimed at tech enthusiasts who are always after the thinnest devices on the market. It's about twice as expensive as a standard 500GB hard drive from a company like Western Digital or Toshiba, and it's $40 more than Seagate's own Backup Plus Slim, which is just over 10mm. The Seagate Seven may not be the best choice if you're looking for something that's going to sit on a desk or get occasional use, but if you need storage that's going to see a lot of travel, this is a solid choice -- provided you can work with the 500GB USB 3.0 limits. You're not going to find much that's thinner or lighter than the Seagate Seven, and believe it or not, 3mm is a noticeable difference. To put it in perspective, the iPhone 4s was only 9.3mm thick, but in comparison to a 7.1mm iPhone 6 Plus, it feels like a brick. The Seagate Seven can be purchased from Amazon for $99. It ships with a three-year limited warranty. But it's Seagate. That counts as a con in my book. Your list of pros is a single thing said 3 different ways. Also, shouldn't the ugly appearance appear in the list of cons to consider? In terms of providing ultraportable hard-drives with a capacity of under 1TB, I see literally no benefit in trying to make an ultraportable physical hard-drive. They're slow and you can practically lose all your data if you drop it. Plus in my experience ultra-slim drives in portables fail much more quickly, possibly due to the tolerances due to the smaller components required compared to desktop 3.5", or even 2.5". With SSD technology becoming more affordable and having so many more benefits, I'm surprised they wouldn't go more towards a 500GB ultra-slim SSD at an ultra-low price. I know this is for tech enthusiasts, but it's like manufacturing a CRT monitor for the novelty factor. I wouldn't use a Seagate even if it was free. Complete junk, their stuff is only good as doorstops and paper weights. Although give it 2-3 years and you'll get 512gb USB sticks for the mass market, maybe. I wasn't sure if that would be a con to everyone, or just me. Design preference is a pretty subjective thing. That USB port looks so huge and old next to the DP port!! I'm not sure why a 7mm drive is needed. Seems like a solution in search of a problem if you ask me.